As blockchain and crypto participation soars, more women are coming to the frontline. Our focus today is African women in blockchain and crypto. We’ve already put together a general list of the most innovative and exciting women to watch for blockchain and crypto insights. Before now, blockchain and crypto activities in Africa were almost insignificant, but since 2017 there has been a surge in indigenous ICOs, events and projects aimed at accelerating the continent’s growth using blockchain and crypto. Let’s take a look at the African women making huge contributions in this space. An educational expert from Botswana and one of the few Bitcoin pioneers in Africa. Itireleng is the founder of Satoshi Centre, a company formed three years ago to teach courses around blockchain and crypto. You can find her on Twitter and LinkedIn. Multi-crypto Bitcoin miner from South Africa with a career as a quantity surveyor. Bosch is a builder at the Bitclub Network. You can find her on LinkedIn. A digital marketing maven with decades of experience in marketing and branding solutions across the tech space, who has recently moved into designing and creating chatbots, mobile apps, and AI tools. Her love for futuristic technologies, including blockchain and crypto, propelled her to becoming a leading figure in the Blockchain Advisory Council. You can find her on Twitter and LinkedIn. Ozim is co-founder of Women in Blockchain. She’s also currently working on forming a hub for women using blockchain and crypto in the agricultural sector. You can find her on Twitter and LinkedIn. Currently Managing Director at Linum Labs, and a Meetup Organizer for Ethereum, Devon, a South African, is passionate about working with tech startups. 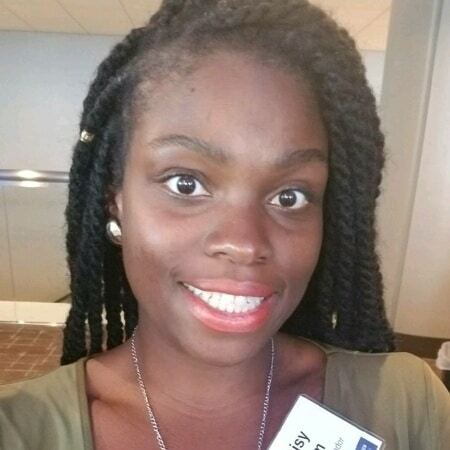 She enjoys exploring new technologies with a focus on blockchain and digital innovation, and how these can bring about unique sustainable solutions and development in Africa. You can find her on Twitter and LinkedIn. Malak is a certified blockchain professional and focuses her advisory services on projects in the health sector. That’s because she has decade plus experience helping the health sector adopt new technologies and software. You can find her on LinkedIn. Gladys is a lawyer from Kenya who works with smart contracts and ICO regulations. She once worked as a contracts attorney with Deliotte. Gladys is currently working on a project set to overhaul the Land Registry in Kenya as Bitland is doing in Kumasi, Ghana. You can find her on Twitter and LinkedIn. Atari, a mechanical engineer from Tunisia, has founded and is heading a number of tech organizations aimed at disseminating consistent innovations in Africa. As a blockchain and crypto expert, and head of innovation factory at Talan, Atari teaches and trains individuals and businesses on how they can implement the new technology in their operations and make it work for them. She also organizes hackathon and events related to solving problems with tech. You can find her on Twitter and LinkedIn. She previously worked for Procter and Gamble as a finance and profit forecaster. This experience has solidified her place as an expert blockchain and crypto consultant. You can find her on LinkedIn. Lauren, a climate finance specialist, based in Morocco, focuses on how to apply blockchain, cryptocurrencies and AI to creating and funding climate-smart projects that protect our planet. You can find her on LinkedIn. She calls herself an Experimental Blockchainist because she’s actively looking for the social application of the distributed ledger system. You can find her on LinkedIn. Snyman has a decade of experience working in the financial industry. Combined with her love for new technologies, she now serves as the Blockchain lead at Standard Bank, South Africa. You can find her on Twitter and LinkedIn. A South African legal tech enthusiast with a strong grasp of new technologies like blockchain and cryptocurrency, and the legal considerations surrounding them. You can find her on Twitter and LinkedIn. A Nigerian cybersecurity and compliance professional with almost two decades of experience. She now preaches the cybersecurity gospel in blockchain and crypto circles. You can find her on Twitter and LinkedIn. Orlie is an experienced Bitcoin miner who has been in the space since 2011. She runs a multi-crypto mining company which has been in operation for the past seven years. She also teaches on blockchain and how to invest in crypto. You can find her on LinkedIn. Co-founder and Editor at On the Block, Rebecca uses interviews to emphasize the human side of blockchain and crypto use cases. A seasoned debater who has won many honorary awards, she now channels those skills to helping blockchain and crypto’s mainstream adoption. You can find her on Twitter and LinkedIn. A vibrant Nigerian lady with a background in pharmaceuticals, Ruth has been in the space since 2015. She’s a Director at Cryptogene, Nigeria’s first ICO launch. She is also CEO of Bitmama.io, an online store that will enable people to shop from Aliexpress or Alibaba, and pay in cryptocurrency. Her crypto-supported online shop, expected to launch in March 2018, will be cheaper and faster than most other services. You can find her on Twitter and LinkedIn. Blockchain Academy (Pty) Ltd., co-founded by Sonya Kuhnel, trains businesses, institutions, schools, and individuals on the beneficial applications of blockchain technology, with emphasis on applications other than crypto. She is also the co-founder of Bitcoin Events (Pty) Ltd and the COO and co-founder of Bitsure. 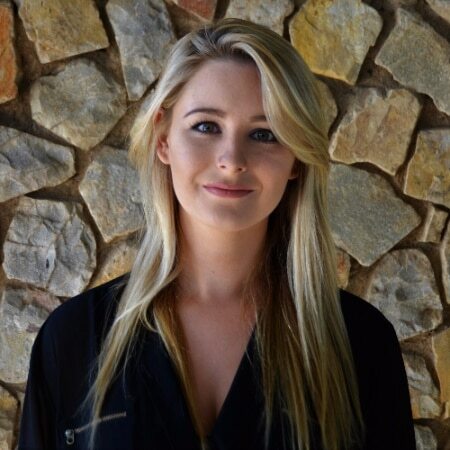 An alumni from the University of Stellenbosch, where she bagged a BA in Industrial Psychology, she speaks at several blockchain and crypto conferences. You can find her on Twitter and LinkedIn. An executive at Alder Consulting, she’s an expert investor who blogs about crypto investments on her personal blog. She also holds investment course classes where she teaches people how to design profitable investment plans with crypto in their portfolio. You can find her on Twitter and LinkedIn. With a background in Digital Economics, Decentralized Networked Governance, and Management Consulting, Onu co-founded Beyond Capital Markets, a financial innovation and crypto impact capital company that manages 16 blockchain impact innovation companies, five of which are from West Africa, and all of which are launching ICOs through BCM. She and her team are currently commencing a world tour to raise funds and awareness for their projects. You can find her on Twitter and LinkedIn. 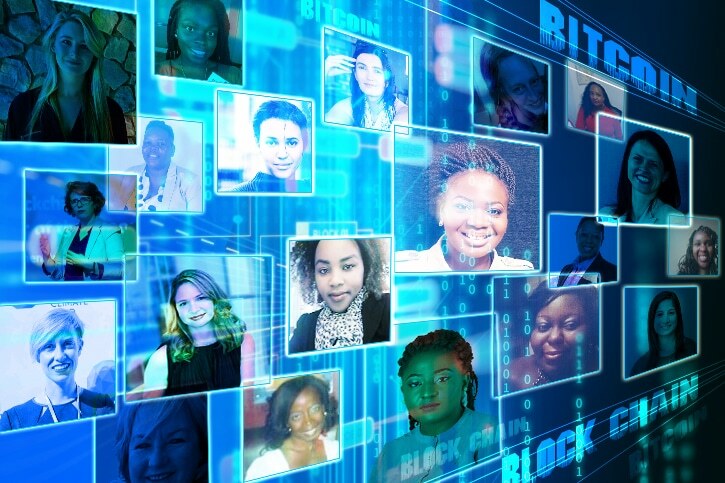 These are the African Women in Blockchain to follow. We hope blockchain and crypto event organizers find this a great resource and use it to factor in diversity and inclusion.